Everyone gets a case of heartburn every once in a while, especially after a large meal. But for some people, it happens regularly. There are numerous over-the-counter medications available to combat the discomfort of heartburn, and just as many versions that your physician is happy to write you a prescription for once you state your symptoms. So, that’s why it’s not uncommon to see people popping these pills after what seems like every meal. But new research suggests that on top of everything else, these pharmaceutical drugs are not so safe, linking them with serious kidney damage. The study, which took place at the Washington University School of Medicine in St. Louis, Missouri, found that the use of common heartburn drugs for long-term periods may contribute to chronic kidney problems and potentially even renal failure.1 The drugs that were evaluated were all types of proton pump inhibitors (PPIs) and include such familiar names as Prevacid, Prilosec, Nexium, and Protonix. Frighteningly, the investigation showed that more than 50 percent of the subjects who developed severe kidney issues over time had no sign of problems along the way. In other words, they were completely unaware that they were gradually losing kidney function until major damage had been done. For the remainder of the cases, an acute problem developed such as producing little urine, onset of fatigue, or swelling in the legs and ankles, which alerted the patient to the fact that they had a health issue. This could potentially impact many people, as more than 15 million Americans have prescriptions for various PPIs to treat their acid reflux, heartburn, and ulcers. In fact, by 2013, PPIs had $9.5 billion in sales in the U.S.2 Even worse, no one knows exactly how many millions of people take the over-the-counter versions of PPIs, but $5.2 billion are sold each year so chances are good these are just as commonly used. While the study found that PPIs affected the kidneys in just under 20 percent of the participants, the follow up only lasted for five years, making it entirely possible that more would experience difficulties if the volunteers had been tracked for longer. In addition, the subjects were all new users of these drugs, and since these are chronic problems that develop, it stands to reason that a greater percentage would have shown an indication of decreased kidney function had the researchers included people who had been taking these drugs for some time. Another form of heartburn drugs was also examined, known as H2 blockers. These medications, with brand names like Pepcid, Tagamet, and Zantac, were shown to be less likely than PPIs to cause kidney damage—although it was still certainly possible—but they are also generally less effective for heartburn and don’t necessarily work for all patients. What can you do to alleviate painful heartburn without taking PPIs? There are natural ways to approach this problem and address its cause rather than temporarily soothing its symptoms. Start by exercising more and improving your diet, since excess weight can contribute to heartburn. Certain foods can also trigger episodes of heartburn, so make note of what you’ve eaten prior to each bout. You may find you’ll do much better when you cut back on citrus fruits, caffeine, alcohol, and spicy foods. 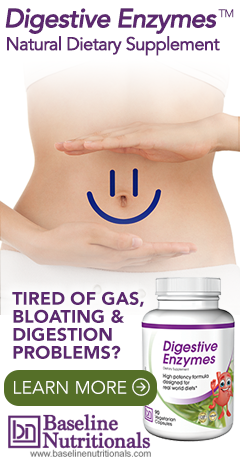 Plus, taking digestive enzymes every time you eat can aid in the breakdown of food, thus reducing the amount of stomach acid you need and helping you further avoid any problems. 1. Xie, Yan; et al. "Long-term kidney outcomes among users of proton pump inhibitors without intervening acute kidney injury." Kidney International. 22 February 2017. Accessed 26 February 2017. http://www.kidney-international.org/article/S0085-2538(17)30005-4/fulltext. 2. "Proton pump inhibitors (PPI) medicines review." Consumer Reports. July 2013. Accessed 26 February 2017. http://www.consumerreports.org/cro/2013/07/best-drugs-to-treat-heartburn-and-gerd/index.htm. 3. Shah, Nigam H.; et al. "Proton Pump Inhibitor Usage and the Risk of Myocardial Infarction in the General Population." PLoS One. 10 June 2015. Accessed 27 February 2017. http://journals.plos.org/plosone/article?id=10.1371/journal.pone.0124653. 4. Ito, Tetsuhide and Jensen, Robert T. "Association of Long-term Proton Pump Inhibitor Therapy with Bone Fractures and Effects on Absorption of Calcium, Vitamin B12, Iron, and Magnesium." Current Gastroenterology Reports. December 2010. Accessed 27 February 2017. https://www.ncbi.nlm.nih.gov/pmc/articles/PMC2974811/. You might find these two articles useful.